We already saw both the BMW X5 M and X6 M recently get leaked, with a few photos of the two in a workshop surfacing on the interwebs. What’s interesting about this is that it’s really the first time we’ve seen any variant of the X6 without camouflage. There have been a few photos of the standard BMW X6 that have made their rounds through different publications. However, all of those X6 test mules we’ve have been covered heavily in camouflage. So we haven’t been able to make out any real details. 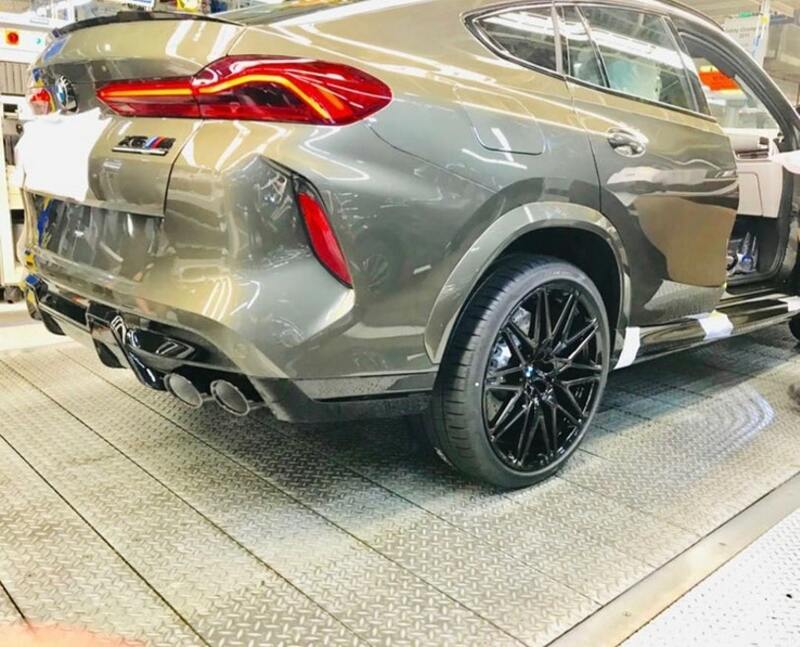 Now, these leaked photos of the BMW X6 M show off its naked rump, completely uncovered. How naughty. It’s quite interesting because it looks similar to how we expected it to look but with some differences. For instance, it has a predictable rear end but its taillights are not borrowed directly from the X5 as we thought, instead looking plucked from an 8 Series. Is that saying that the X6 M will be considered more upscale or maybe just sportier than its taller sibling? We can also see that it has simply massive vertical reflectors at the rear, which honestly look comically large. We’re not entirely sure if those are for all X6s or just the X6 M but they sort of look absurd. Having said that, this photo isn’t the greatest quality and it’s at an odd angle that makes the car look disproportionate. For instance, in comparison to the size of the back end, its wheels look like training wheels. The rest of the back of the car is pretty typical BMW M. A large gloss black rear diffuser and quad exhausts signifies the performance than lies beneath. Speaking of performance, the back also has an “X6 M Competition” badge, so this is the even faster model. There are no official power figures just yet (actually, when we saw the X5 M in person in Palm Springs, BMW didn’t even have power figures for it yet) but we’re expecting close to what the M5 Competition puts out, so around 617 hp. 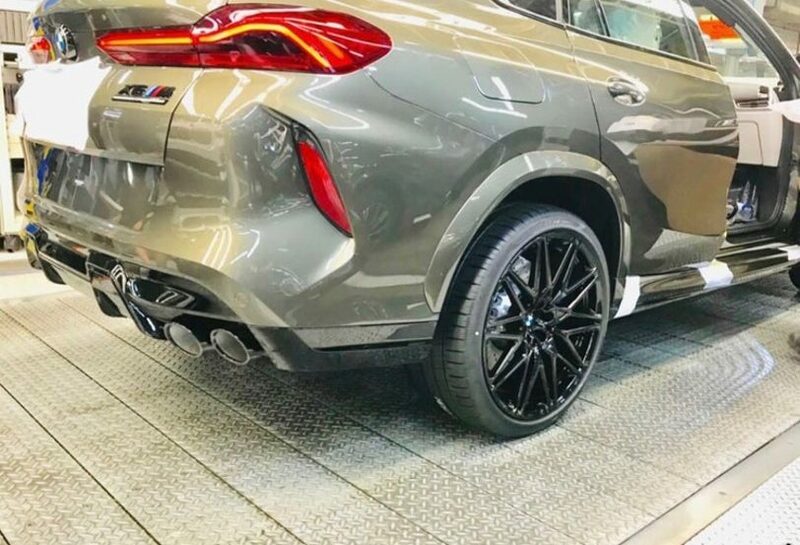 So if you’re wondering what the BMW X6 M will look like, or even just the standard X6, take a look at this pic and try and we’ll give you more as we get it.